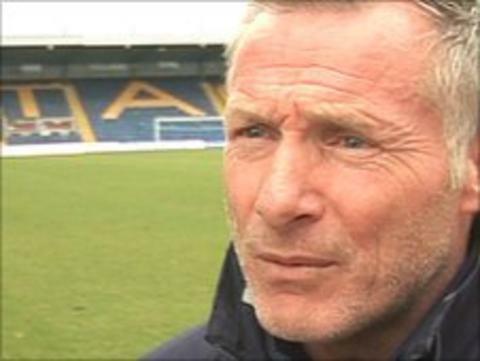 Mansfield Town are not renewing Duncan Russell's contract as manager. Russell, who was appointed boss on a short-term deal in December, guided the Stags to the FA Trophy final. But they finished 13th in the Blue Square Bet Premier table, with Russell winning nine and losing 11 of his 27 league games in charge. Chairman John Radford told the club website: "League results have not been good enough. We must make a fresh start to give us every chance of promotion." Assistant boss Paul Hall has been placed in temporary charge. Radford added: "Duncan departs Field Mill with our very best wishes. We thank him for his efforts whilst with us, particularly the memories he has given us from this year's run in the FA Trophy."